Is Bitcoin a Safe Way of Making or Accepting Payments? 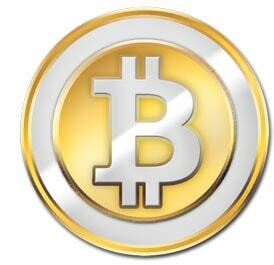 Money Metals occasionally gets questions from customers about Bitcoin or one of the many other cryptocurrencies. They are often wondering if we have plans to accept payment that way. Our answer is probably. Sometime in the next few months, we are likely to add Bitcoin as a payment option to aid customers in converting their electronic Bitcoin digits into something of tangible value. But we are frankly cautious to deal in these new currencies, and we absolutely do not suggest that you sink your money into them. We've warned about the risks. True, physical precious metals and Bitcoin share some characteristics -- at least in theory. Neither is under the control of central planners and their wretched history of abusing fiat currencies in the name of borrowing and spending without limit. Both offer privacy advantages and insulation from insolvent banks underpinning the mainstream financial system. So why have we been hesitant to add an option for making payment is something other than dollars? One problem is volatility. Bitcoin values fluctuate dramatically -- sometimes intraday. The infant currency is heavily influenced by scandals such as Mt. 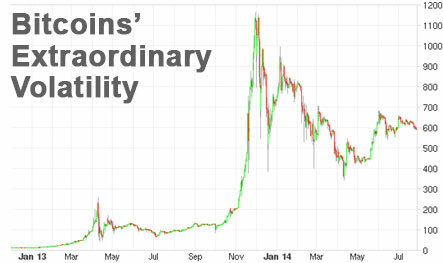 Gox as well as hot-money investors looking to make a quick buck -- or leave soon after. The market for Bitcoin is tiny and prone to huge swings. And there are a lot of competitors. To ultimately succeed, it must prove itself as the best mousetrap against a field of 417 other cryptocurrencies currently tracked at coinmarketcap.com. As part of our sound business practices, we avoid volatility in our operating capital. We need funds to pay customers who sell us their bullion, wholesale partners, our employees, and other expenses. Any Bitcoin payments we receive will need to be converted quickly to something we can use -- namely cash for expenses or for new precious metals inventory. In any significant quantity is a gamble we won't make, period. We'll leave speculating to those without the commitments we have. Of course, we aren't excited about the slow, steady depreciation of the dollar either. We keep just enough cash on hand to comfortably take care of operating needs. The balance is ploughed back into our large inventory of coins, rounds, and bars. Spot prices can rise and fall -- sometimes sharply. But the number of ounces on our shelves needed to meet delivery commitments doesn't fluctuate with prices. We will always be able to deliver, because we never sell ounces that we don't already own. We believe in the same principles that are driving people to seek alternative currencies. But it's hard to say what, if anything, digital units that aren't redeemable in anything should be worth or will be worth decades from now. Bitcoin could become obsolete like so many other faddy technologies that have come and gone. Precious metals will never become obsolete because they are basic elements with irreplaceable utility. And unlike cryptocurrencies and conventional bank accounts holding dollars, physical gold/silver/platinum/palladium coins, bars, and rounds can't be hacked or tracked by governments – or inflated to oblivion.